Visit places that glow in the dark, an unusual wave-like phenomenon, a Spanish castle and a natural pavement. Australia is a vast, sprawling country, with desert, forests and beautiful beaches, but it also has its weirder side. The following are just some of the cool and unusual spots to visit in Australia, including places that glow in the dark, a rock that looks like a wave, a ruined Spanish castle and a natural pavement. The official name for this is the Metropolitan Tunnel, built in the 1980s. It was only used until 1915 due to the collection of smoke and soot from the trains passing through. 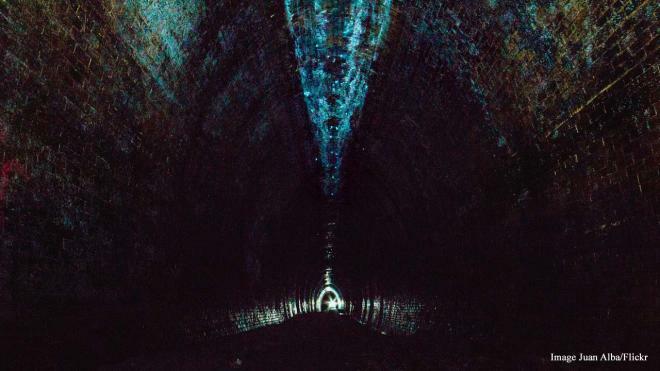 The tunnel regularly gets flooded, but a glowworm colony took over the tunnel and made a home on the roof. When walking through, it is like looking at a constellation of blue and green stars. Staying with places that glow in the night, Gippsland Lakes in southeast Australia suffered many bush fires in 2006, which was followed in 2007 by torrential rains. This caused huge amounts of nitrogen rich soil and ash to be washed into the lakes. Then something strange happened, as a huge algae bloom of Nociluca Scitillans appeared. During the day it is evident from red patches on the water. 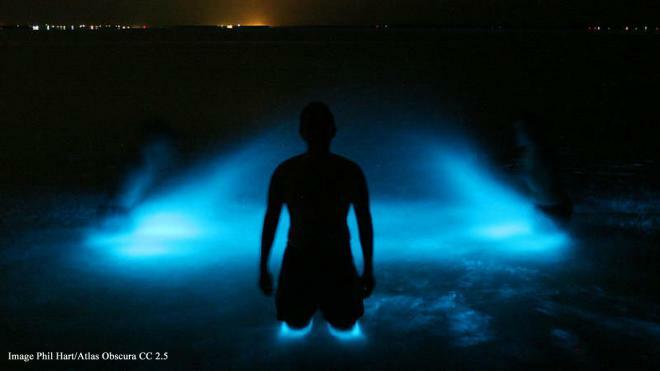 However, at night it glows blue along the water's edge.